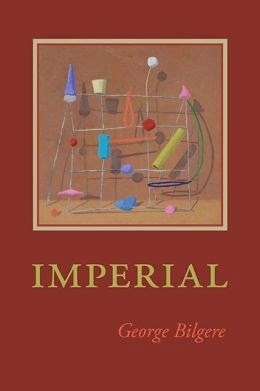 If the purpose of poetry is to inform, while it also tantalizes and delights the critical reader, recognizing that this argument has no agreed assumptions or boundaries whatsoever, George Bilgere’s Imperial succeeds on each and every count. More so, his wise and witty poems seem well up to taking on even such intractable aches and human ailments as bum marriages, aging, the banality of drone warfare, Warren Harding, and having too much scotch whiskey in the house. If this strikes you as a rather unruly and untidy menu, I would only say: “You Asked For It.” Because that is just what poetry readers do, you know, they want poems to entertain even while they confound. Make you think. Not surprisingly, and I suspect you see the clever foreshadowing here, this brings me to the first of many of GB’s poems that I want to share with you. As do so many of his poems, this one touches with unexpected gentleness on loss. Everyone gets the meaning of loss. Right? or frail and gray, his gift forgotten. useless in this new world. Sad. Or is this not your cup of marbles? Okay, so maybe you like jazz. I do. Billy Collins certainly does, and George Bilgere’s poems can often be surprisingly Billy-like. But not everyone likes jazz. Not for nothing, but Langston Hughes told the world that jazz rhythm informed his poetry. “Jazz” is my favorite poem of so many outstanding, highly narrative poems in this, Bilgere’s sixth volume. Can I tempt you with a sampling from each of his three stanzas? and walked out under the stars, suddenly hungry. and also, in a small way, doing my part to break down racial barriers. although I can’t imagine what that might be. as I chat on my cell phone, walking along the shore. All this ruminating on the shore will cause the poet to think of a woman, back in Cleveland, where it is snowing big-time, but he knows she would rather be all warm with him [the dramatis personae], getting it on. Instead, she is reading Middlemarch. And if you want to know how it all works out, and how the unnamed whales make an unexpected return in the final lines, you will just have to buy the book. What’s more, you’ll get to read George’s poem on “Lint,” and on “Robert Frost,” and his poem on “Hoses,” and tooting his own horn one on “Tenure,” which I could use some of, and on “Walking the Dog,” which is a chore I would frankly less rather do than read Middlemarch again. Actually, I won’t have to. We creative writing English profs have to draw the line somewhere, you know. Arthur McMaster’s poems have appeared in such journals as Poetry East, North American Review, Rattle, Rhino, and Subtropics, with one Pushcart nomination. He has two published chapbooks, the first having been selected by the South Carolina Arts Commission’s Poetry Initiative. His memoir is titled Need to Know. Find his author page at arthurmcmaster.com.